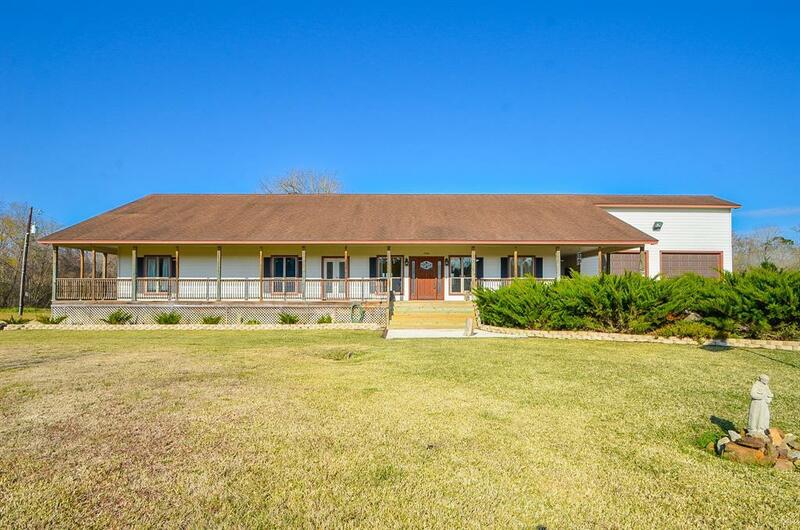 39.06 acres with beautiful and immaculate 3 bedrooms, 3 bath, country home with wrap around porch. Open Concept with spacious family room, kitchen, dining room. Gorgeous pine wood floors. Large pantry, extra large utility room w/mud room and bathroom. Master bedroom is a must have with large walk-in closet and dressing area and sitting/reading alcove. 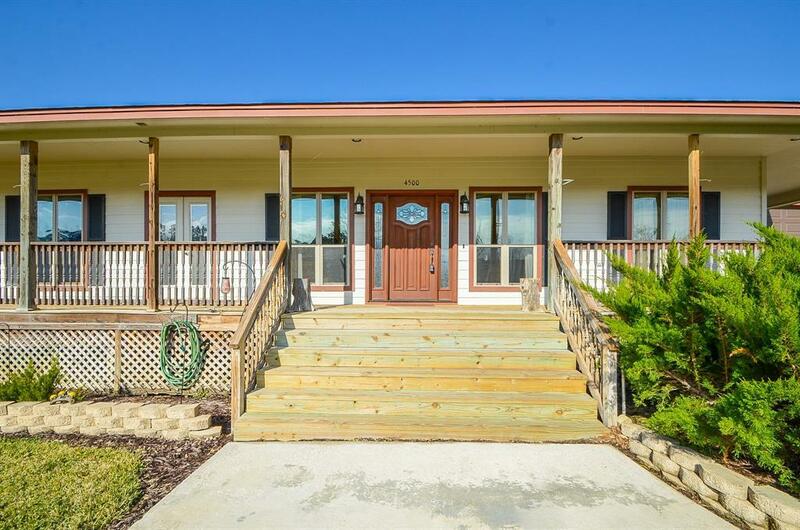 Lots of windows to enjoy the country views with french doors in each bedroom leading to wrap around porch. 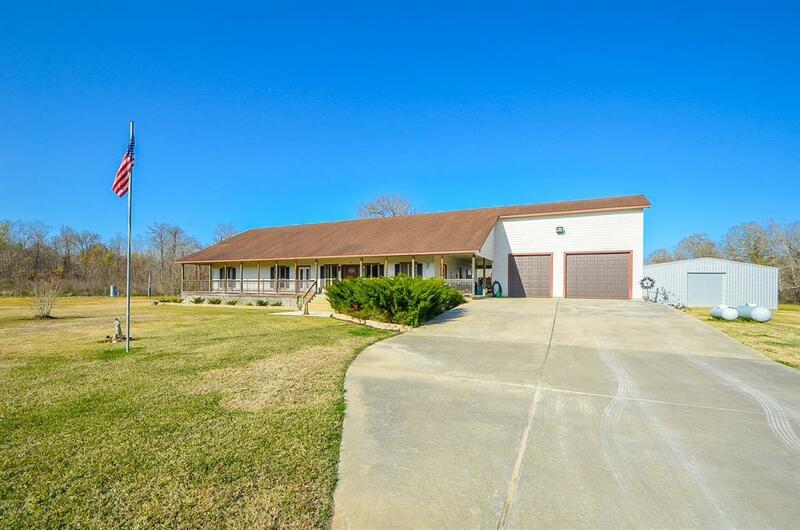 Property comes with whole home generator, 2 propane tanks serves house, generator, and alarm system. Also a 10 foot breezeway between home and garage which almost always provides a nice cool breeze. Extra large 2 car garage - one space fits a 1 ton dually truck. Two concrete pads for outside eating/sitting areas. Also has a large 100x50 foot metal building with two doors - one in front and one in back. Home has never flooded. 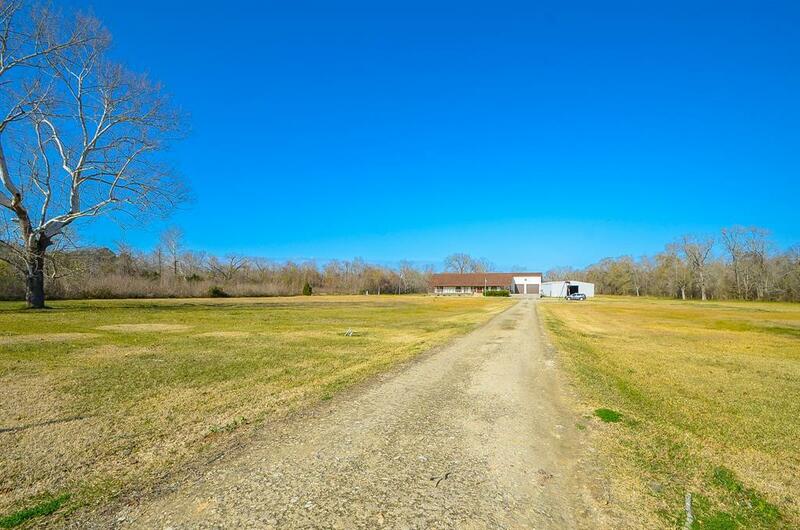 13 open acres with home plus 26 wooded acres. Room measurements should be measured for accuracy.